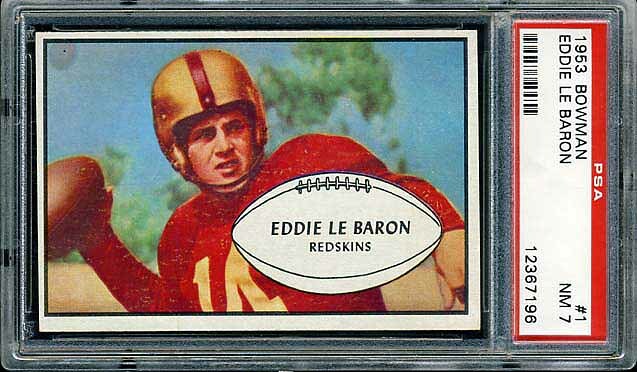 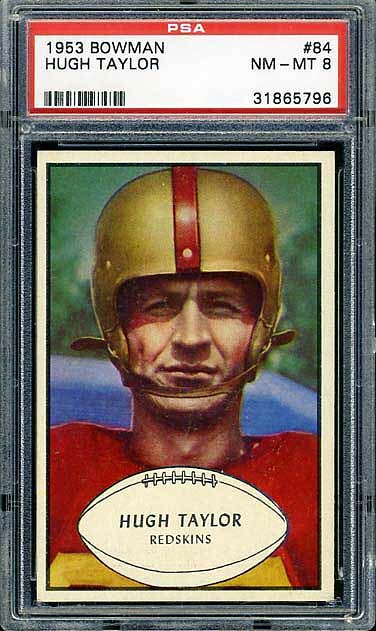 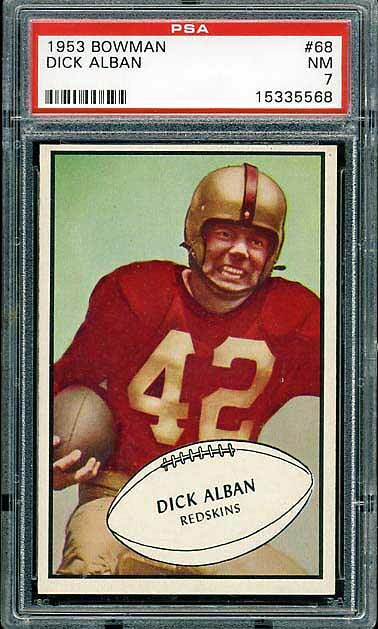 The 1953 Bowman set is another set where the first card is a Redskins card — the rookie card of Eddie LeBaron. 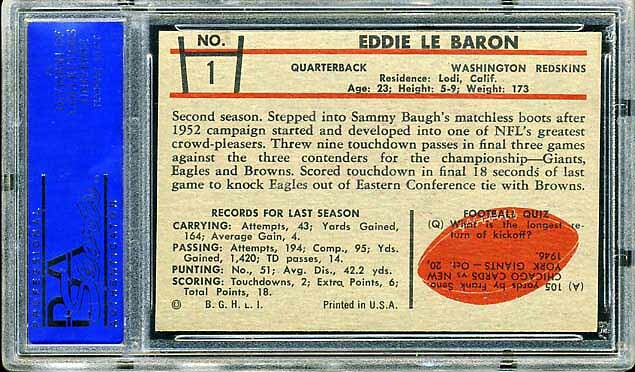 The set below is complete except for #94 Chuck Drazenovich. 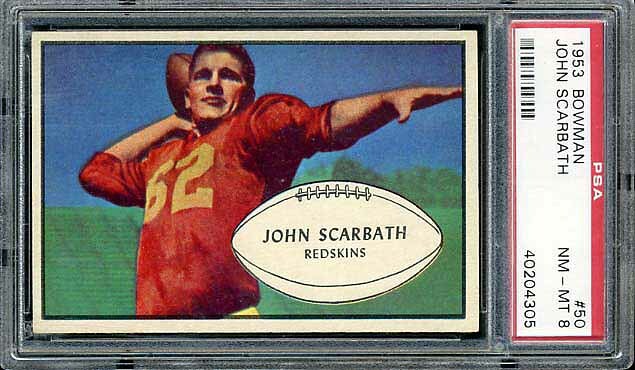 There are still two more Bowman sets in the 50’s, but this set, I think, ends a remarkable run of beautiful looking cards from Bowman. 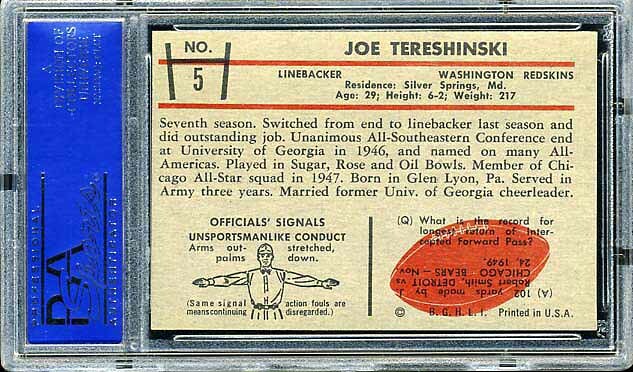 The 1953 set is often said to be the hardest of the early 50’s sets. 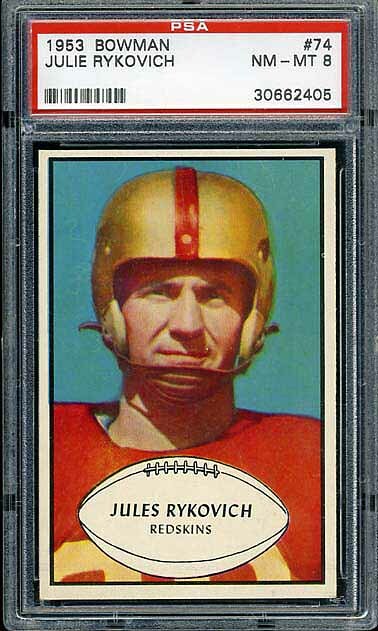 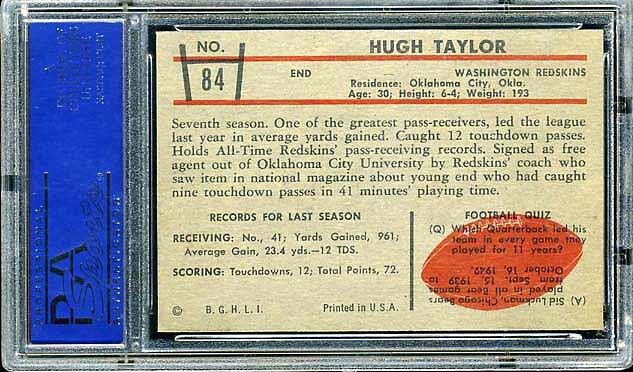 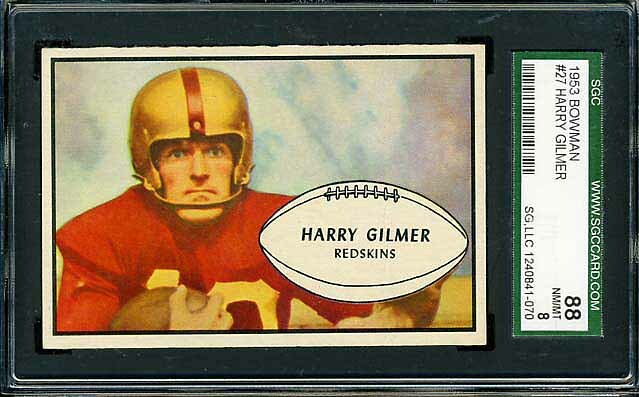 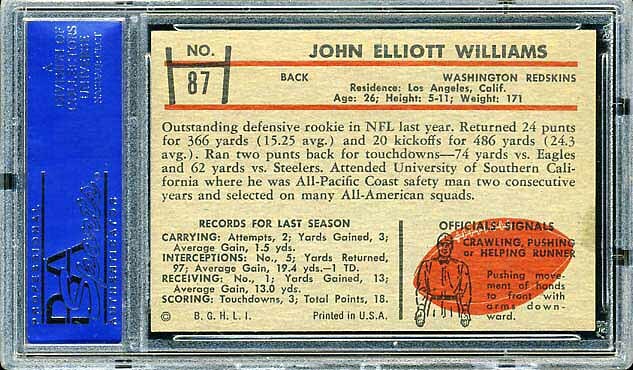 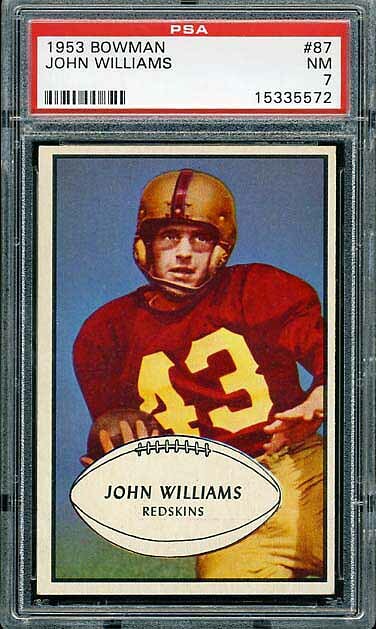 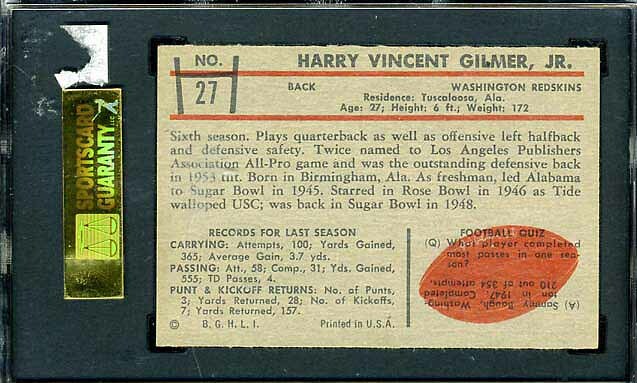 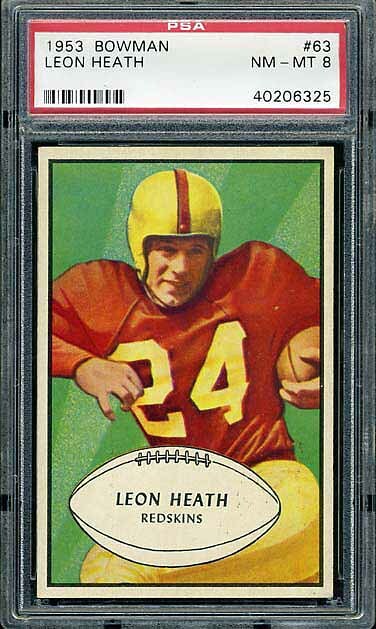 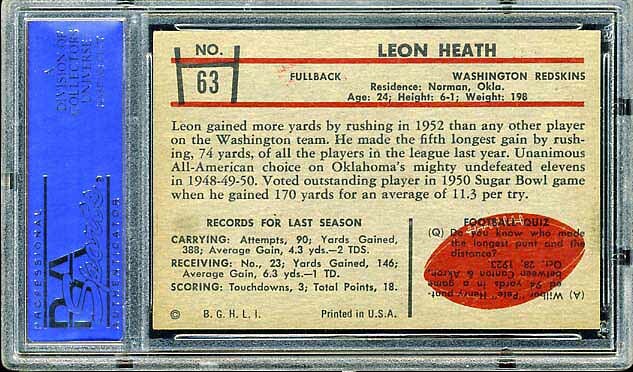 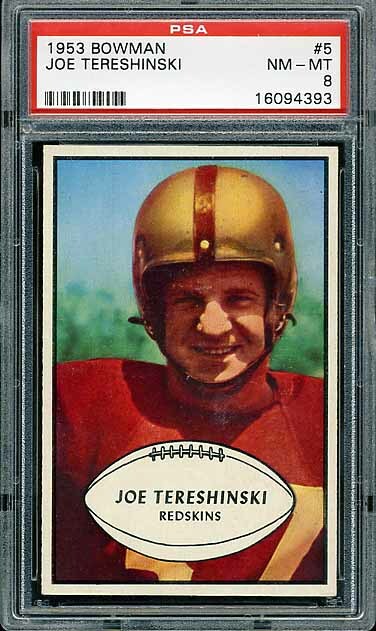 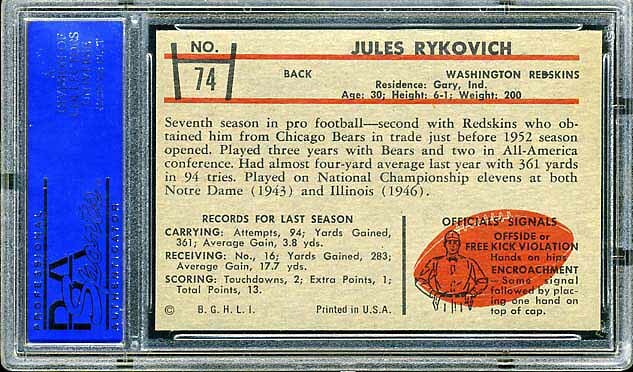 However, I think (at least for Redskins collectors) that the 1952 Bowman Small Redskins team set is the most challenging.